$37,095 x 84 Months @ 3.99%, 3.99% Effective APR (cost of borrowing $5,449). $0 down payment. 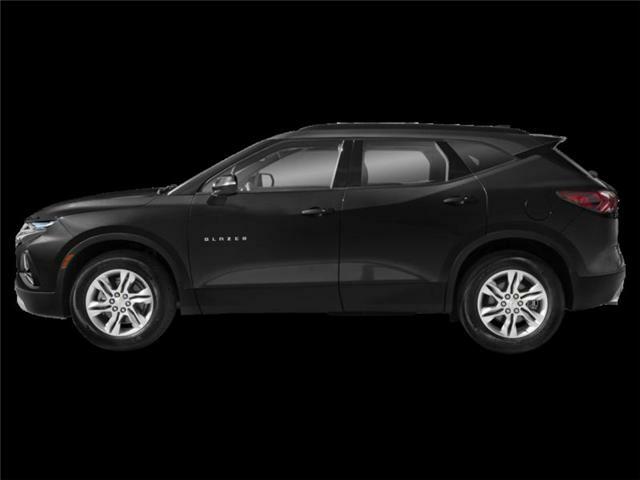 $37,095 x 84 Months @ 9.25% APR (estimated lease rate, cost of borrowing $13,804). Heated Seats, Remote Start, Rear View Camera, Bluetooth, OnStar! $51,102 x 84 Months @ 3.99%, 3.99% Effective APR (cost of borrowing $7,507). $0 down payment. $51,102 x 60 Months @ 3.9% APR (estimated lease rate, cost of borrowing $6,679, estimated buyout $15,842). 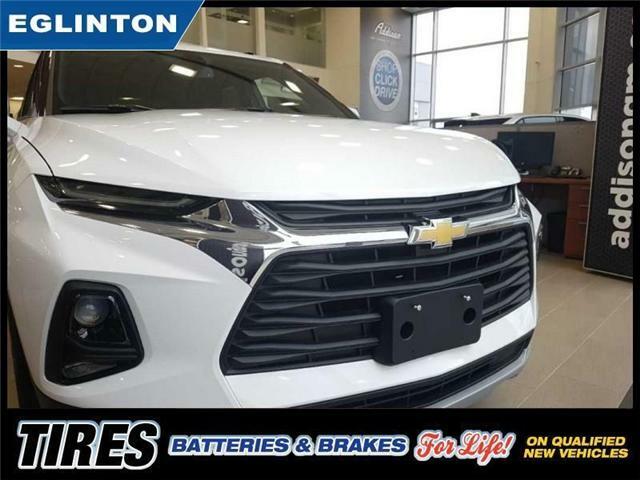 $57,038 x 84 Months @ 3.99%, 3.99% Effective APR (cost of borrowing $8,379). $0 down payment. $57,038 x 60 Months @ 3.9% APR (estimated lease rate, cost of borrowing $7,402, estimated buyout $17,111). $48,295 x 84 Months @ 3.99%, 3.99% Effective APR (cost of borrowing $7,095). $0 down payment. $48,295 x 60 Months @ 3.9% APR (estimated lease rate, cost of borrowing $6,267, estimated buyout $14,488). 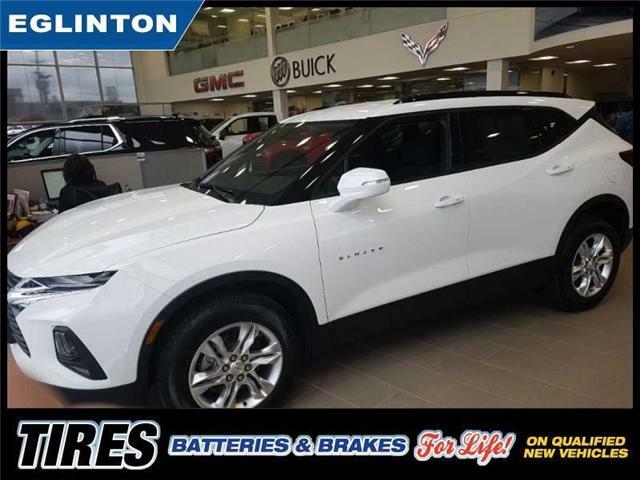 This 2019 Chevrolet Blazer leaves the past behind with sharp styling, premium crossover comfort and extreme refinement levels. $43,890 x 84 Months @ 3.99%, 3.99% Effective APR (cost of borrowing $6,448). $0 down payment. $43,890 x 60 Months @ 3.9% APR (estimated lease rate, cost of borrowing $5,737, estimated buyout $13,606). 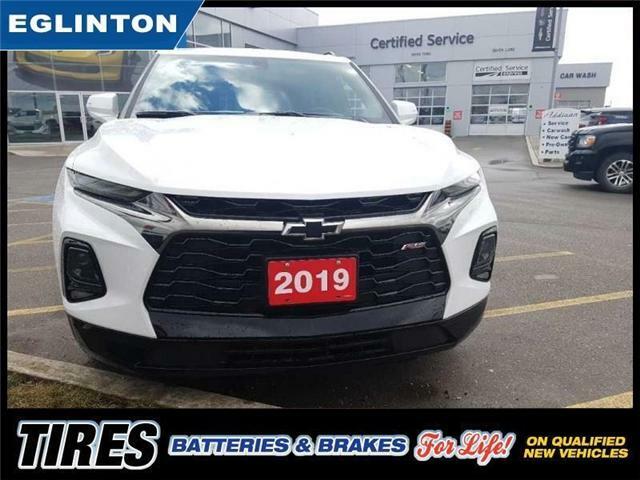 This 2019 Chevrolet Blazer gets a clean break from its past, becoming a sophisticated, elegant crossover SUV with impressive towing capabilities and premium comfort for all passengers. $44,730 x 84 Months @ 3.99%, 3.99% Effective APR (cost of borrowing $6,571). $0 down payment. $44,730 x 60 Months @ 3.9% APR (estimated lease rate, cost of borrowing $5,846, estimated buyout $13,866). 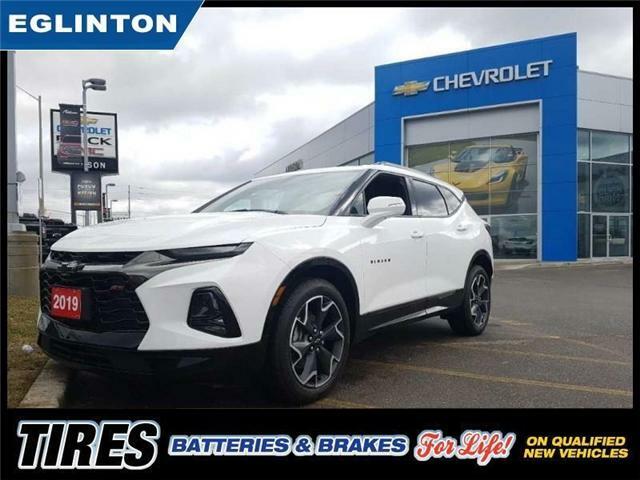 $47,905 x 84 Months @ 3.99%, 3.99% Effective APR (cost of borrowing $7,038). $0 down payment. $47,905 x 60 Months @ 3.9% APR (estimated lease rate, cost of borrowing $6,261, estimated buyout $14,851). Package, 20 inch Aluminum Wheels! $51,655 x 84 Months @ 3.99%, 3.99% Effective APR (cost of borrowing $7,588). $0 down payment. $51,655 x 60 Months @ 3.9% APR (estimated lease rate, cost of borrowing $6,752, estimated buyout $16,013).